I saw this header somewhere and I felt it is a better word than New Year's Resolutions. 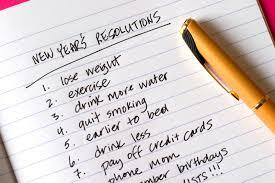 Resolutions look so outdated and sounds more like a failed plan even before it began. When I was much younger, I had always heard adults make resolutions that I see them break at the slightest chance. They could work but it looks like many forget about it and that is why it never worked for many. Maybe we can help ourselves out on ways to have better intentions or decisions and keep at it till we achieve them. Mindfulness Mind Over Matter: This is the key to achieving goals at any time, it is a strong and conscious desire to be on top of the situations at every check. You can get it if you want it so badly. Losing weight or quitting an unhealthy diet for example, nothing should occur in error. There is a dire need to be fully conscious of your environment at all times to really achieve your goals. You can make some decisions that could help in putting these goals right before your eyes at every turn. For example look for an accountability buddy who will constantly remind you of your daily workout or to count calories. I made up my mind NEVER again to use my hard earned cash to buy soda, this is so as to reduce my daily consumption of soda and when it's gift, I will drink just a cup, little by little I lost the taste of Coke and I became free, I cannot remember the last time I took that now. Outsourcing: A friend in need is a friend indeed. You can make your goals public. Let friends, loved ones and colleagues into your new life. They could actually become annoying reminders when you derail but the job is done! They could turn themselves into a police but they are there still! You don't need to be angry just be courteous and get back on track. 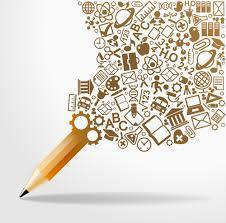 Write it: A blunt pen is better than a sharp memory. Writing goals down either public or private is good, one it helps you go back to it when you need to audit yourself. Two, you are actually recommitting yourself to a goal that is written, you become responsible for every decision that is being made afterwards. Write it out in your personal journal or make it public by posting a blog, you can also stick it on your wardrobe doors or anywhere you will see it often. Sticky notes are good (I have them on the desktop of my laptop), except you are bothered about greater things will you look at such and ignore them. Plan B: If Plan A doesn't work, remember that there are 25 more alphabets. Towards the end of a year, have multiple plans in place so that when time and chance happen to one, you can easily slide into another. Make sure to have a backup plan at all times, never ever let yourself be stranded. When you cannot do 30 minutes because of time and pressure, then do just 10 minutes or even just 5 minutes. Split your 30 minutes throughout the day, do something fun that will take your mind away from all seriousness. Forgive Yourself: There is no error in falling, not standing back up is unforgivable. Did you slip? That binge? The exercise rut? Life got in the way? You should talk yourself out of it instantly, you are stronger than the obstacle. If you cannot jump over it, walk through and if you can't then walk around it but just keep moving forward. Reward: The gifts of a man makes a way for him. Reward yourself when you do it right, give yourself gifts not as an obligation but as a treat (do not use food because you are not a dog). Get yourself something useful to achieve the rest of your goals as the year runs by. A new wrist watch to work on time management, a fitness tracker to check your daily progress, a blender to make healthier smoothies, a deep freezer to keep more batch meals, a new dress or shirt to celebrate your new weight and inches lost, there are a thousand ideas out there. Get something that will not only encourage you but will be a reference point in the future. I cannot afford a Fitbit but I ordered a cheaper fitness tracker to reward the effort into losing a few pounds last year. Optimism: You are your own motivator. Give yourself some pep talk, be positive about your goals. Did you just decided to quit smoking, don't think about being depressed if you quit, think of how healthy you will become and how you will be there for your loved ones much longer. Are you intending to be nicer in 2016, don't worry about snubs, concentrate your thoughts and efforts on those that will appreciate you better. Whatever your good and creative intentions are in 2016, I BELIEVE IN YOU. I know YOU CAN DO it and you WILL DO it. I will post a blog of my creative intentions in 2016 and maybe what my bucket lists are soon after.